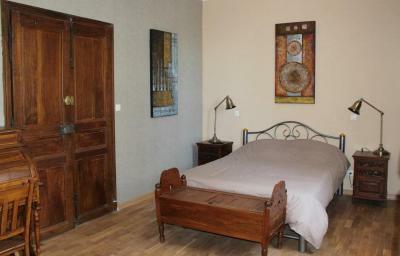 Lock in a great price for Les Chambres du Clos des Capucins – rated 8.4 by recent guests! 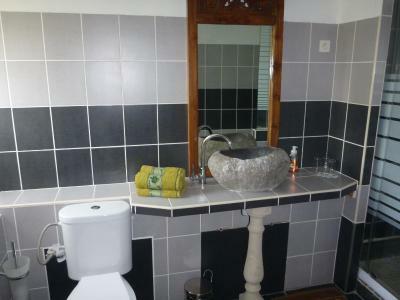 Great newly renovated bathrooms. Fun restaurant/bar on premise food basic but honest and generous servings. On eccentricly landscaped bamboo gladed river. 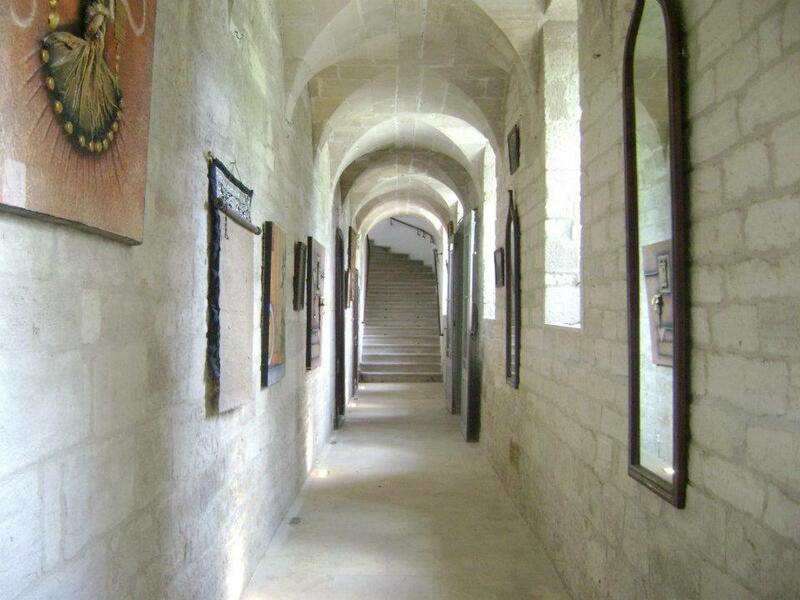 Amazing old stone converted convent. 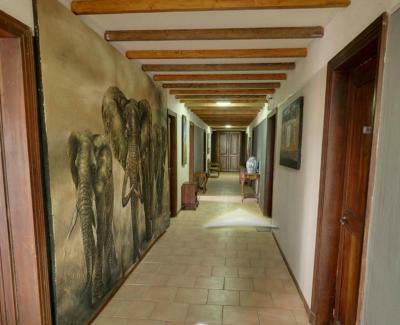 The location and the property are looking very nice and could be promising. Our first met host was providing a good welcoming. Charming hotel full of character. Staff excellent. Hot tub on balcony was a pleasant extra. Room and decor elsewhere was kooky and made for a very interesting stay. Staff couldn't have been more helpful. Bamboo tiki bar is on your doorstep, but not open in low season. We booked this on the spur of the moment whilst traveling North and stayed an extra night as it was so interesting. The town and surrounding area has so much to see and experience (as long as you aren't looking for Discos and Disney) and I would highly recommend it. Building has lots of character . 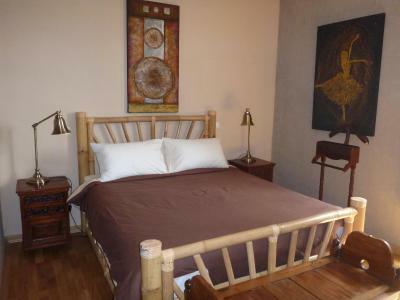 Good location right in centre of town with plenty of bars and restaurants within walking distance. Hot tub was a bonus. 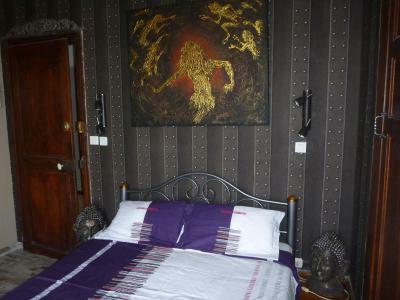 Combination of old monestory and renovated rooms. Good restaurant. 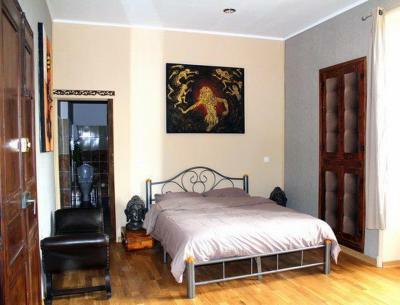 Style, decoration, big room with 4 poster bed. Interesting building. Good basic breakfast (not buffet) was good value with nice coffee. 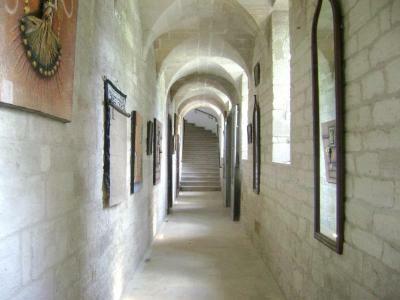 One of our top picks in Barjac.Located in the heart of Barjac, Les Chambres du Clos offers B&B accommodations set in a former Capuchin monks' convent dating from the 17th century. 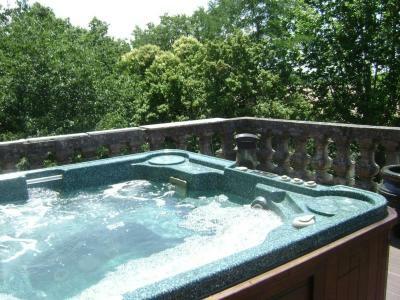 The property includes a hot tub and terrace. All rooms feature a view of the town, a flat-screen TV, wardrobe and desk. The private bathroom offers free toiletries and some include a bathtub. A continental breakfast is provided each morning at Les Chambres du Clos. Guests can also sample traditional cuisine in an evening meal, upon request. Supermarkets and restaurants can be found in the village within a 5-minute walk. The Gorges de l’Ardèche are just 6.2 mi away and the Sautadet Waterfalls are a 35-minute drive away. Hiking trails can begin directly from the property and free private secured parking is possible on site. 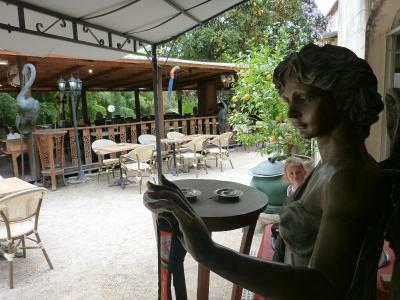 This property also has one of the top-rated locations in Barjac! Guests are happier about it compared to other properties in the area. 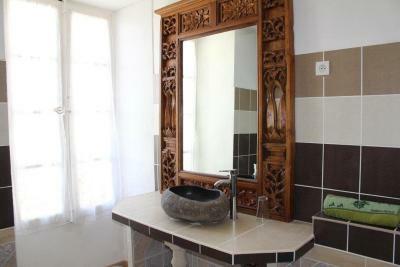 When would you like to stay at Les Chambres du Clos des Capucins? This room features a view of the town, a flat-screen TV, wardrobe and desk. The private bathroom includes free toiletries. This spacious room features a view of the town, a flat-screen TV, wardrobe and desk. The private bathroom includes free toiletries. 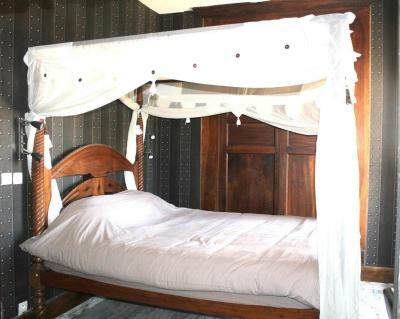 House Rules Les Chambres du Clos des Capucins takes special requests – add in the next step! Les Chambres du Clos des Capucins accepts these cards and reserves the right to temporarily hold an amount prior to arrival. Would have been good to have a table and a chair in the room. Many nearby restaurants were not open. Not their fault BUT be warned. Mosquitos abound and there are nasty " no see ems" or phlebotomes that give nasty bites. I didn't get bitten but my mosquito magnet friend did - badly. Bring repellant. Shower made bathroom floor wet. The service level, the cleanliness are not at the level! The decoration is not always of good taste (just a pitty not a drama), and some facilities like the terrasse and the spa could value much better with carefull and tasty decoration instead of cheap materials... It is not acceptable to have bed sheets that are not correctly cleaned (and honestly please keep those hawfull blankets away). As well, the service people smoking during breakfast and room cleaning is absolutely disgusting (i was wondering were this strong and annoying smoking smell was coming from)! I had the feeling of a sleeping beauty served by soviet state employees... sorry for that, but this was our perception, and considering the price it is by far too expensive for the service level. 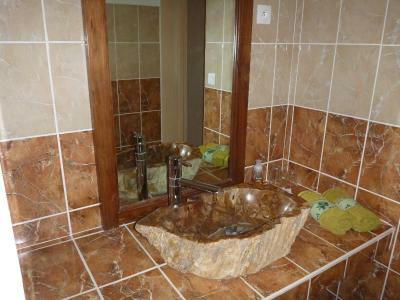 A pitty, the place and property are nice and the first host met was welcoming very well.